Earth Day is celebrated every year on April 22. This is a day to take the time to remind students the importance of preserving our earth. Help your students get a better understanding of how they can help our earth with a few fun activities. Challenge students to collect and bring in a variety of items. Tell them one man's trash is another man's treasure! Brainstorm a list of acceptable items to bring in such as milk cartons, tissue box, toilet paper roll, paper towel roll, egg cartons etc. Once the items are collected then have the students brainstorm ideas on how to use these items in a new and unique way. To help students get creative provide additional craft supplies such as glue, construction paper, crayons etc. A great way to introduce your students to the concept of recycling is to create a recycling tree out of recycled items. First, collect a paper bag from the grocery store to use as the trunk of the tree. Next, Cut strips of paper from magazines or newspapers to create the leaves and branches of the tree. 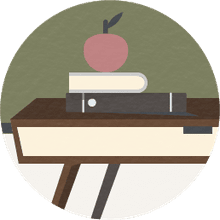 Place the recycling tree in a noticeable spot in the classroom, and challenge the students to fill up the tree by bringing in recyclable items to put into the trunk of the tree. Once the tree is filled with recyclable items gather students and discuss the different types of materials that can be used to recycle. This fun and interactive bulletin board activity will encourage your students to want to preserve the earth. First, have each student trace and cut-out their hand on a colorful sheet of construction paper. 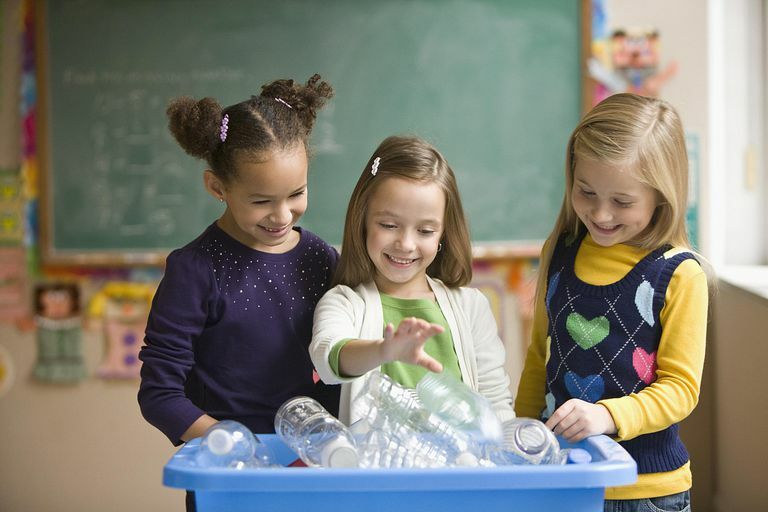 Explain to students how everyone's good deeds can make a difference in preserving our earth. Then, invite each student to write down their idea of how they can help preserve the earth on their hand cut-out. Mount the hands on a bulletin board that surrounds a large globe. Title it: We Got the Whole World in Our Hands. Read the story Miss Rumphius by, Barbara Cooney. Then talk about how the main character devoted her time and talent to make the world a better place. Next, use a graphic organizer to brainstorm ideas on how each student can make the world a better place. Distribute a blank sheet of paper to each student and have them write the phrase: I can make the world a better place by… and have them fill in the blank. Collect papers and make into a class book to display in the reading center. Pair students together and ask them to create their own song about how they can help the earth be a better place. First, brainstorm words and phrases together as a class and have them write ideas down on a graphic organizer. Then, send them off to create their own tune about how they can make the world a better place to live in. Once finished, have them share their songs with the class. A great way to raise students' awareness for Earth Day is to set aside time during the day to have no electricity and an environmentally "green" classroom. Shut off all the lights in the classroom and do not use any computers or anything electric for at least an hour. You can spend this time talking to the students about how they can help preserve the earth.